Optimised for reducing life-cycle cost, Oxe diesel is a favoured solution for government services, coastguard, search and rescue operations and commercial applications such as fishing, oil and gas. 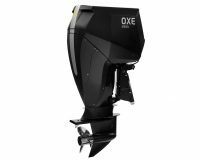 Robust Oxe turbo-charged diesel outboards offer a patented high torque belt drive, lower fuel consumption and surprisingly quiet running. Additionally, Oxe is highly rated for fire safety, low speed control and cabin heating.